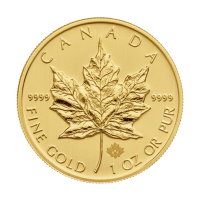 Buy 1/10 g Maple Leaf Aurum Gold Thin Wafer | ?? The latest design Aurum produced exclusively for us. This new design features thirteen maple leaves, one for each of the ten provinces and three territories. 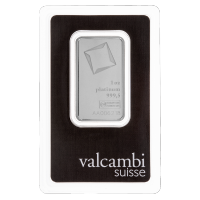 The right side of the Aurum contains a mountain scene with lines that touch and support all sides of the design. The lines are in vivid colour (red, green, black and blue) and are a representation of all of the different people of Canada, and the support we provide each other and our nation. The design of the lines forms a maple leaf, and is also a depiction of the Canadian Mosiac, wherein we all celebrate our unique cultures and backgrounds while still contributing to the growth of our nation as a whole. Made of 100% Canadian-mined gold, this Aurum is longer and wider than the original version but still contains the same amount of gold. With a thickness of only 404 nm (about 1% the thickness of human hair), it is the world's smallest verifiable unit of gold. Gold, as you have never seen it before! Introducing the 1/10 gram Aurum gold wafer by ValAurum. This new, innovative design makes gold available to everyone. 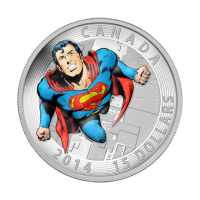 Very close in size to a common currency bill, this highly durable and precise denomination is what the bullion industry has been waiting for. This new technology creates these paper thin sheets by a process called deposition in which gold is actually deposited on a polymer sheet, allowing for extremely thin and accurate application. After deposition the Aurum further protects a precise amount of gold by covering it in layers of durable polyester. Every Aurum issued is painstakingly verified using industry-standard and proprietary techniques. In the form of an Aurum, gold is more convenient, affordable, and trustworthy than ever before. The process used to create the design on the front of an Aurum creates a unique reverse image on the reverse of the Aurum. Where there is no printing on the front the gold on the reverse is very shiny. But where gold atoms have fallen on the print, the gold on the reverse has a matte finish. This would not happen if the image were merely printed on the gold. The possibilities are endless, but the idea is clear. 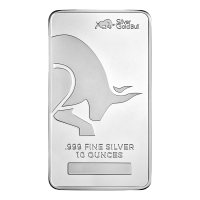 Gold in a small, exact quantity, that is easily verifiable and immune to tarnish and other forms of oxidation. The security features are simple, the properties of gold. 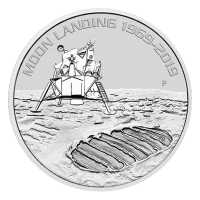 Throw in some micro-printing and serial numbers and you have one of the safest forms of gold ownership on the market. Each Aurum will ship in a protective sleeve. 1/10克枫叶Aurum薄金箔 The latest design Aurum produced exclusively for us. This new design features thirteen maple leaves, one for each of the ten provinces and three territories. The right side of the Aurum contains a mountain scene with lines that touch and support all sides of the design. The lines are in vivid colour (red, green, black and blue) and are a representation of all of the different people of Canada, and the support we provide each other and our nation. The design of the lines forms a maple leaf, and is also a depiction of the Canadian Mosiac, wherein we all celebrate our unique cultures and backgrounds while still contributing to the growth of our nation as a whole. 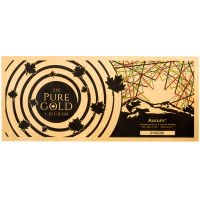 Made of 100% Canadian-mined gold, this Aurum is longer and wider than the original version but still contains the same amount of gold. With a thickness of only 404 nm (about 1% the thickness of human hair), it is the world's smallest verifiable unit of gold. Gold, as you have never seen it before! Introducing the 1/10 gram Aurum gold wafer by ValAurum. This new, innovative design makes gold available to everyone. 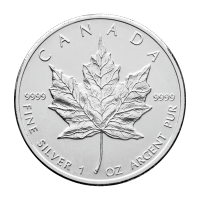 Very close in size to a common currency bill, this highly durable and precise denomination is what the bullion industry has been waiting for. This new technology creates these paper thin sheets by a process called deposition in which gold is actually deposited on a polymer sheet, allowing for extremely thin and accurate application. After deposition the Aurum further protects a precise amount of gold by covering it in layers of durable polyester. Every Aurum issued is painstakingly verified using industry-standard and proprietary techniques. In the form of an Aurum, gold is more convenient, affordable, and trustworthy than ever before. The process used to create the design on the front of an Aurum creates a unique reverse image on the reverse of the Aurum. Where there is no printing on the front the gold on the reverse is very shiny. But where gold atoms have fallen on the print, the gold on the reverse has a matte finish. This would not happen if the image were merely printed on the gold. The possibilities are endless, but the idea is clear. Gold in a small, exact quantity, that is easily verifiable and immune to tarnish and other forms of oxidation. The security features are simple, the properties of gold. Throw in some micro-printing and serial numbers and you have one of the safest forms of gold ownership on the market.